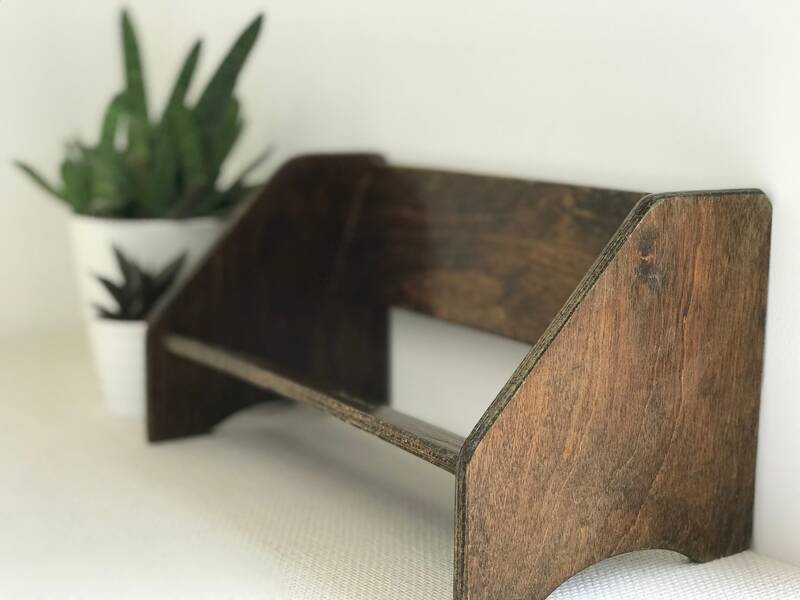 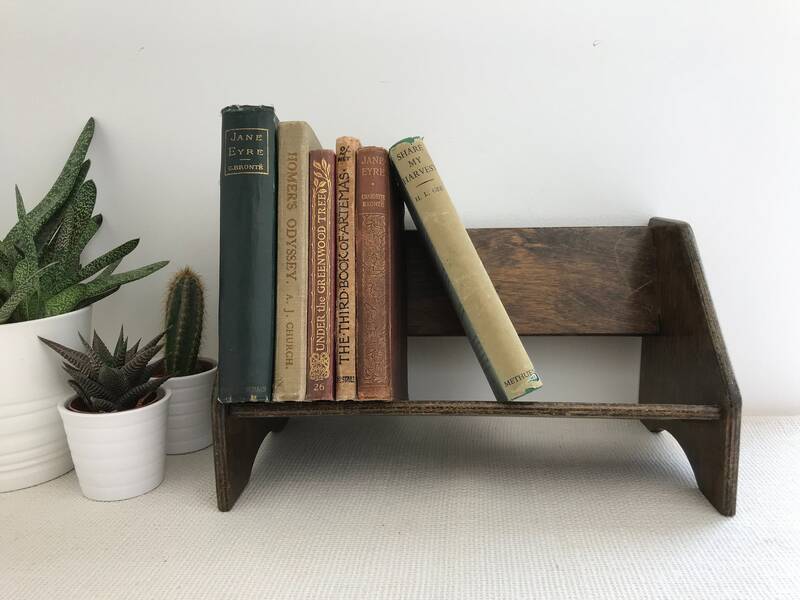 A small, old dark oak stained book stand. 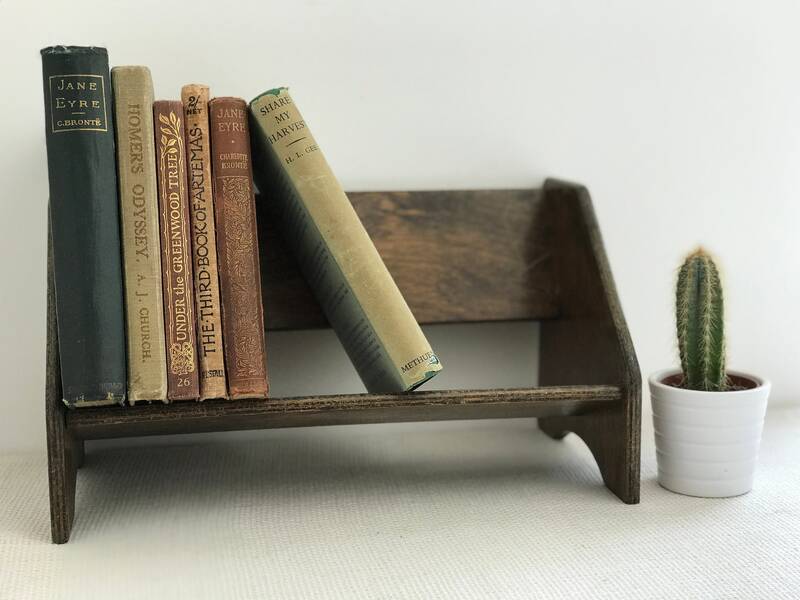 Great for displaying small to medium sized books and paperbacks or penguin books. 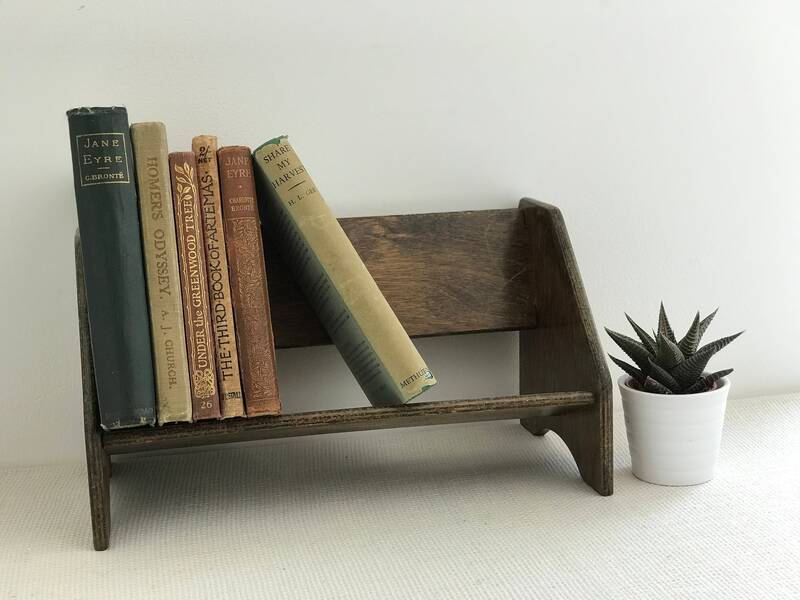 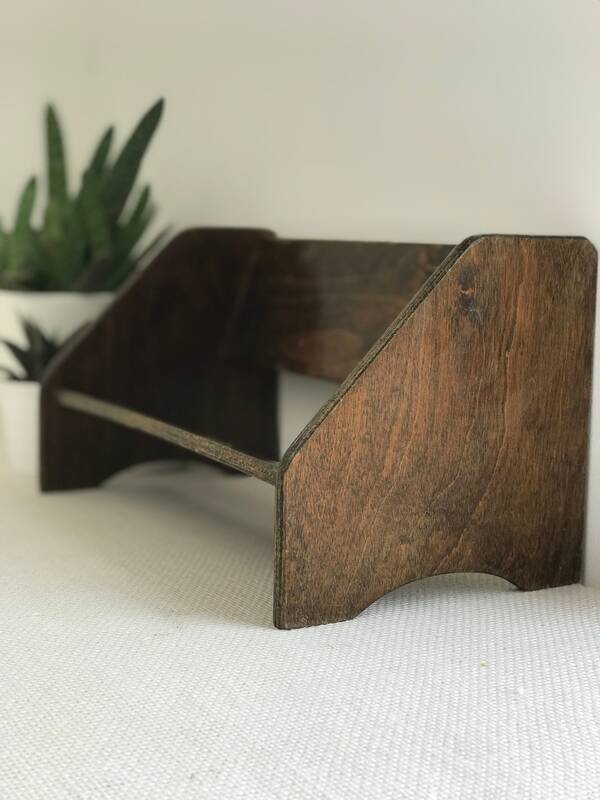 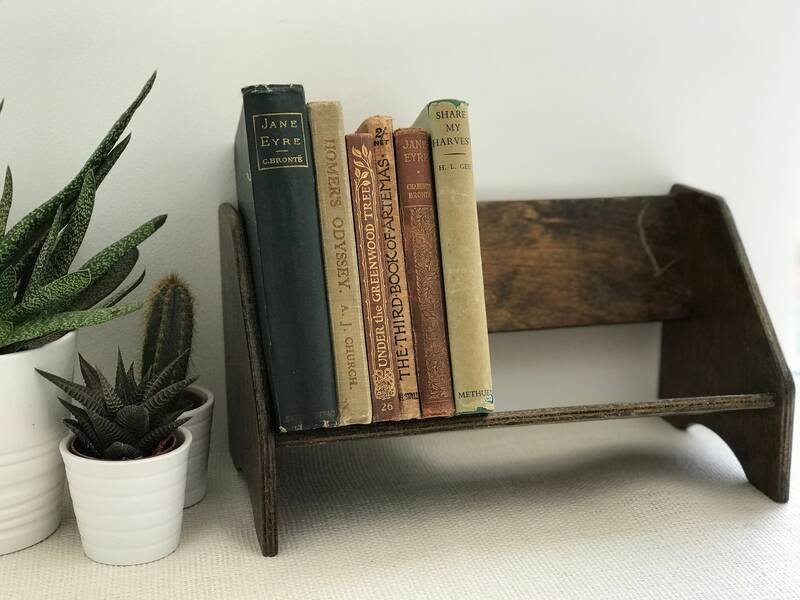 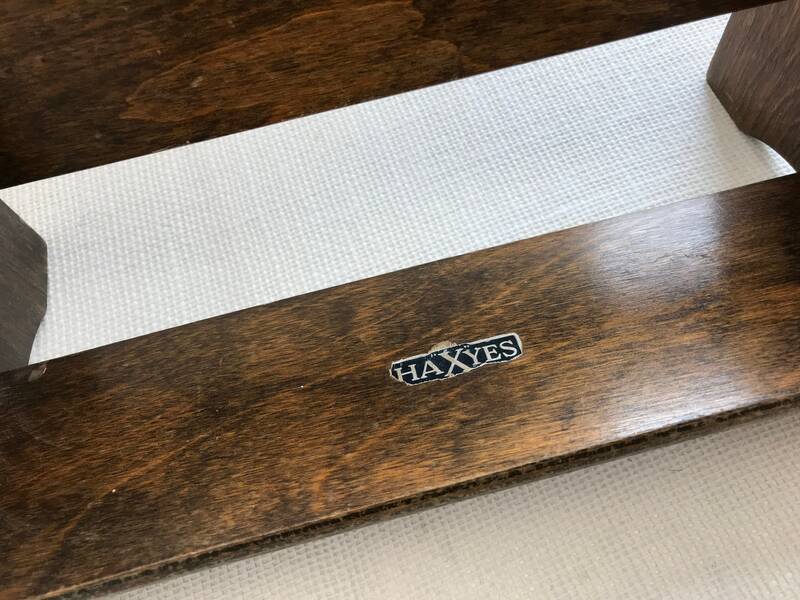 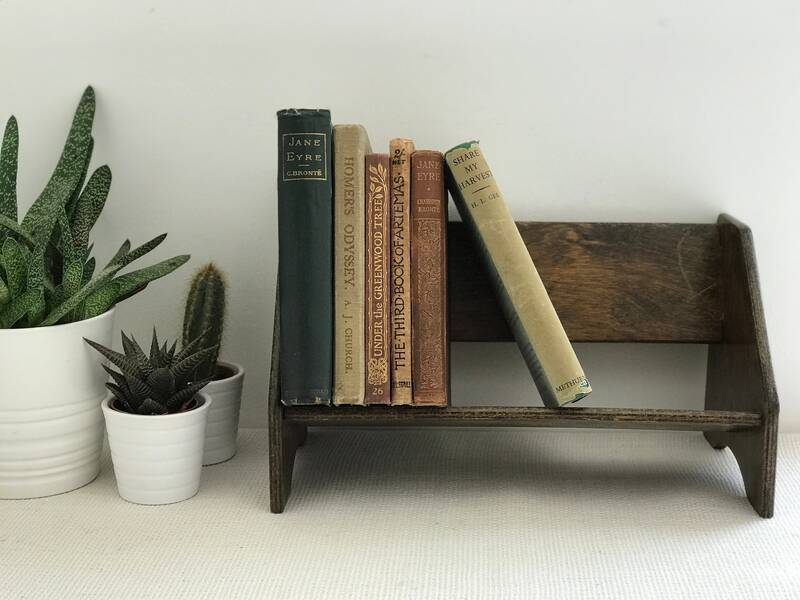 Give your mantel, desk, sideboard or shelf that vintage look and keep your books neat and tidy using this lovely old book stand. 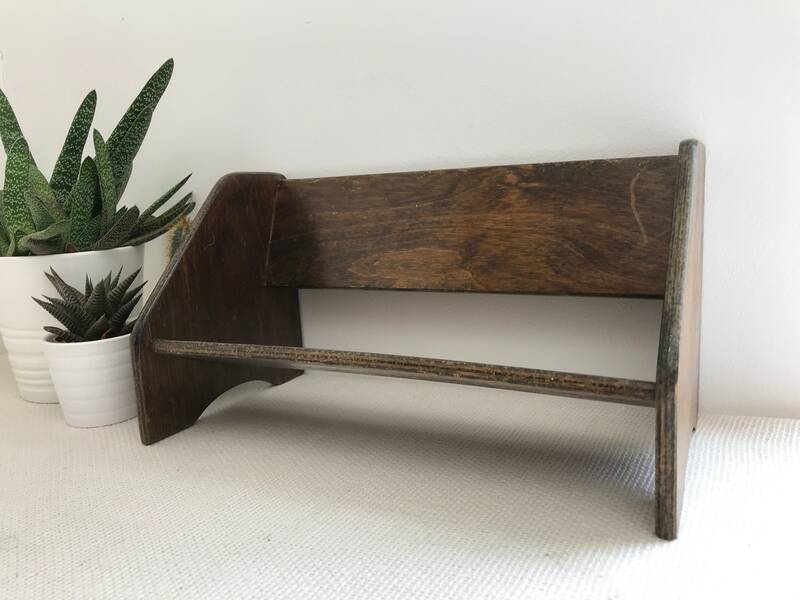 Would also make a great photography prop or shop display piece.